LATHAM – Evelyn A. Dowen, 81, of Latham, passed away on Saturday, October 26, 2013 in the Hospice Inn at St. Peter’s Hospital. Evelyn was born in Albany, and lived in Albany and Altamont for many years before recently moving to Latham. 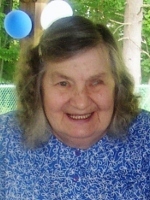 Evelyn is survived by her husband of 57 years, Robert L. Dowen, Sr.; her sons Robert L. Dowen, Jr. (Deborah), and John E. Dowen (Maureen); her grandchildren Tiffany and Andrew; and her great grandchildren Delia, Selwyn, and Alex. Evelyn donated her body to the Anatomical Gift Program of the Albany Medical College. A service of remembrance will be held at a future date. There will be no services or calling hours at this time. Arrangements are by the Hans Funeral Home, Albany. The family suggests contributions in her memory to The Community Hospice, and mailed to: The Community Hospice Foundation, 295 Valley View Blvd., Rensselaer, NY 12144. To leave a message of condolence for the family or send a sympathy card, please visit www.HansFuneralHome.com. Our deepest sympathy to the family of Evelyn A. Dowen. Losing a loved one is always very hard. God knows and feels your pain (Matthew 10: 29-31). We are encouraged to “throw our burdens on him and he will sustain us” (Psalm 55:22). Although there are tears of grief today, God promises a joyful tomorrow without death, mourning, pain, tears or sorrow (Revelation 21:4). He also promises a resurrection to life for our loved ones whom we have lost (John 5:28, 29). In time, may your hearts find comfort in what Jehovah God has promised, for it will all shortly come true (Titus 1:2).